You're just 5 minutes from thirst-quenching greatness with a fruit-flavored bonus: This punch fits into a smart eating plan. Place all ingredients in glass or plastic pitcher. Stir until mix is dissolved. Garnish with lemon, lime or orange slices. 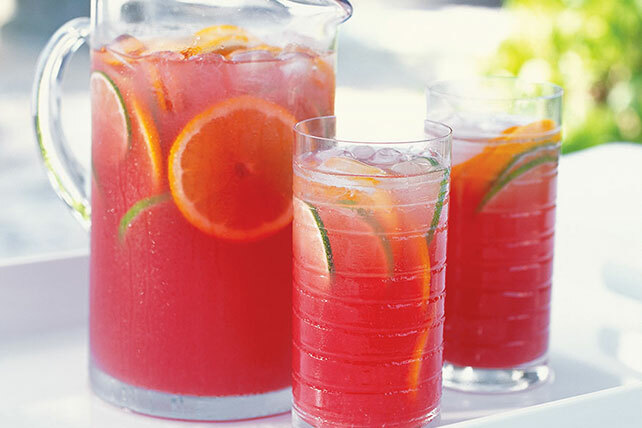 Punch can be made ahead of time. Mix all ingredients except club soda. Refrigerate until ready to serve. Stir in club soda just before serving.